TH just received DNA confirmation of her birth father! He has a picture of a Vietnamese woman who might be TH’s birth mom. TH has been in touch her brothers and one of their daughters, who is her niece and who looks very much like her! TH’s friend, who helped take care of TH in the orphanage, started a fundraiser to bring TH and her son to the U.S. to meet her newfound family. If you’d like to donate from the US, you can use PayPal. DNA and Mirror Trees were key to finding the birth father of my client (TH). If you’d like to learn more about Mirror Trees, I’m teaching a DNA Boot Camp this Saturday that covers Mirror Trees! To sign up, follow this link! TH knew the following about her birth. TH’s BF was Vietnam Veteran of African American descent. Her birth mother was Vietnamese. She was born around 1973. She was part of Operation Babylift, which was a mass evacuation of children out of South Vietnam to other countries. She was in an orphanage, along with her brother. An English couple adopted TH (but not her brother). 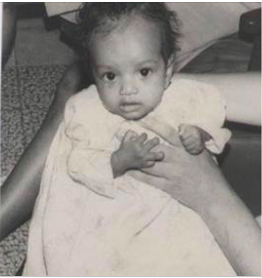 TH searched for her birth father for six years, with my help for the last two. TH submitted her DNA to Ancestry, 23andMe, and FamilyTreeDNA four to five years ago. She was on Gedmatch also. A cousin from Minnesota provided tremendous help, along with cousins in the Carolinas. The cousins were found through DNA testing. However, they didn’t know how they’re related to TH—just that they’re family. TH’s DNA matches included a few 2nd and 3rd cousin matches. However, most of their family trees were severely limited due to slavery’s impact on records. For example, slaves were not enumerated by name until after the Civil War, which ended in 1865. Slavery’s lingering effects also impacted census records into the mid-1900s. New surnames were often adopted, which usually cannot be traced to before the Civil War. In addition, census records for African Americans completely missed some African Americans well into the mid-1900s. Census records also contain incomplete or incorrect information. This history makes family tree building for African Americans very difficult. TH had several DNA matches that matched each other (Shared Matches on Ancestry; In-Common-With on FamilyTreeDNA). Some of them had K ancestors (that is, ancestors from a family with a surname starting with a K). A close match had ancestors from Baldwin County, Alabama, but he had no Ks in his tree. Another match had K ancestors from this Alabama county. However, other K ancestors were from the Carolinas. There seemed to be connections holding this group together. However, it wasn’t possible to sew the pieces together. A Mirror Tree was built that included each of the matches and their ancestors. But, it was impossible to connect the branches in the Mirror Tree, with one exception. That was that two matches shared the same K grandfather from the Carolinas. Yet, these matches were more distant. Thus, they were connected to TH further back in their tree. In addition, these Carolina Ks could not be connected to the Alabama Ks. Therefore, things were at a standstill. ½-1C = they share one grandparent (but not the other). OK reached out to TH to ask about her family, which, of course, she knew very little, other than her birth father was an African American Vietnam Vet. OK said that he had an uncle who was a drill sergeant in Vietnam. His other uncles weren’t in Vietnam. Also, his Vietnam Vet uncle was his dad’s ½-brother. If this uncle was TH’s birth father, then OK was TH’s ½-1C!!! OK’s line (OK, OK’s dad, and OK’s grandfather) was added to the K Mirror Tree. OK’s grandfather’s parents were added: JK and AS. This was a breakthrough! Some of TH’s K matches had JK and AS (or JK and A (no last name)) in their trees! This allowed sewing together three matches—OK, RS, QI—along with TH herself in the K Mirror Tree! QI and TH share 154 cM of DNA. 2nd cousins, once removed usually share between 30 and 215 cM of DNA, with an average of 112 cM of DNA. Thus, the DNA information was consistent with the K Mirror Tree! It appeared that TH’s BF had been identified! Everyone always wonders what’s going on when they get their ethnicity estimate from Ancestry, FamilyTreeDNA, or 23andMe. It hardly ever agrees with their paper trail. Take my paper trail, for instance. Here are the ethnicities of my eight great-grandparents—shown in a table and a pie chart. Pretty straightforward, right? Well, here is my ethnicity estimate from Ancestry. It’s a lot more diverse than my paper trail, and where is my majority German ancestry? There are several explanations for this. First, when Ancestry’s definition of, for example, Great Britain, is reviewed, we see that it includes Germany, as is shown below to the right. So my unexpected high level of Great Britain might be because it actually is including some of my Germany ancestry. Second, Ancestry’s ethnicity estimates are an estimate of where your ancestors lived 500-1000 years ago. Most paper trails don’t go back this far—almost always not every line on our trees. A lot of intermingling of peoples happened during this time. For example, during the Viking Age, which was around 1,000 years ago, Scandinavian Norsemen settled in Norse Greenland, Newfoundland, and present-day Faroe Islands, Iceland, Normandy, Scotland, England, Ukraine, Ireland, Russia, Germany, and Anatolia. (https://en.wikipedia.org/wiki/Viking_Age) This might be an excellent explanation for my higher than expected Scandinavian percentage. Third, Ancestry reports each region in percents. However, there are ranges associated with each percent. The range is provided by clicking on a specific ethnicity. For example, my 36% Great Britain is given the very broad range of 7% to 64%. Fourth, if you consider that, on average, a generation takes 25 years, then Ancestry’s timeframe of 500-1000 years ago is from 20-40 generations ago. As is explained on the Types of DNA Page, autosomal DNA undergoes recombination when eggs and sperm are made. Recombination shuffles the DNA that each of our parents received from their parents. The shuffling results in mixtures of DNA from each grandparent. This shuffling of DNA means that you get different pieces of DNA that are used for ethnicity estimates. Let’s focus on a single SNP, that is, a single point on your DNA. Let’s say it’s SNP #3,500, and this SNP is one of the places that’s tested for ethnicity. At each SNP location, everyone gets one SNP from their mom and one SNP from their dad. Thus, everyone has two SNPs at each location. Each SNP in this example has four possibilities: G, A, T, C.
Let’s say that at SNP #3,500, my brother and I inherited the following. That is, my brother inherited the following. T from our paternal grandpa’s French DNA. In contrast, I inherited the following. Looking just at this one SNP, my brother and I have very different ethnicity estimates. Of course, ethnicity estimates use more than just one SNP. This example only goes back 2 generations to our grandparents. Think about all of the shuffling that took place over the last 20-40 generations, and you start to see another reason that your ethnicity estimate is just that–an estimate. Below and to the right are my and my brother’s ethnicity estimates from Ancestry. Look at all of the differences. First, there’s a huge 5-fold difference in our Great Britain percentages: 7% (my brother) and 36% (me). Our Eastern European percentages are also very different: 11% (my brother) and 3% (me—in my Trace Region category). Our trace regions are also very different. My brother has 2% European Jewish, whereas I have none. Under West Asia, we both have 2%. However, his is 2% Caucasus, and I have 2% Middle East. I also have <1% Asian South, and he has none. This probably should be disregarded, as ethnicities under 1% usually are considered background noise. This example shows why testing siblings gives a fuller picture of one’s ethnicity. Your sibling might have an ethnicity that didn’t show up for you—or more or less of it. One person’s results don’t give as much information as two or more siblings’ results. This isn’t to say that one’s ethnicity estimate is useless or just for fun. In contrast, they can be very useful in sorting out some people’s matches. For example, sometimes a person’s mother has a different ethnicity than the father. If that person’s matches have that maternal or paternal ethnicity, then this helps with an initial sorting of the matches into (1) probably paternal and (2) probably maternal. It’s one clue in determining who matches are. DNA is inherited from our parents–roughly half from each parent. Changes in our DNA, otherwise known as mutations, if present in a parent, can be passed onto their children. These mutations can be used to connect children to parents, grandparents, and other relatives and ancestors. Three commercial companies offer DNA testing for genealogy. They are Ancestry, 23&me, and Family Tree DNA. Each company has its own database (or collection) of people who’ve tested there. The most effective way to find an unknown ancestor or relative is to test at all three companies. Three types of DNA can be tested. First is autosomal DNA, half of which is passed from a mother to a child and half of which is passed from a father to a child. Second is Y-DNA, which is passed only from fathers to sons. Third is mitochondrial DNA, which is passed only from mothers, but to all children. The type of DNA to test depends on your gender and the person or persons you are seeking. 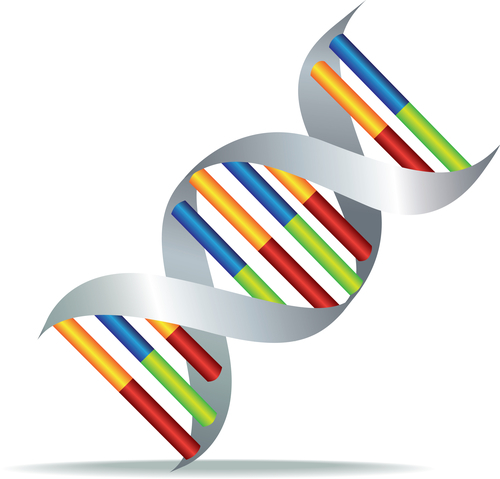 For more information on the three types of DNA that can be tested, go to the Learning Center’s article: Types of DNA. To find out more about how we can help you use DNA to solve your family mystery, check out the Services page.